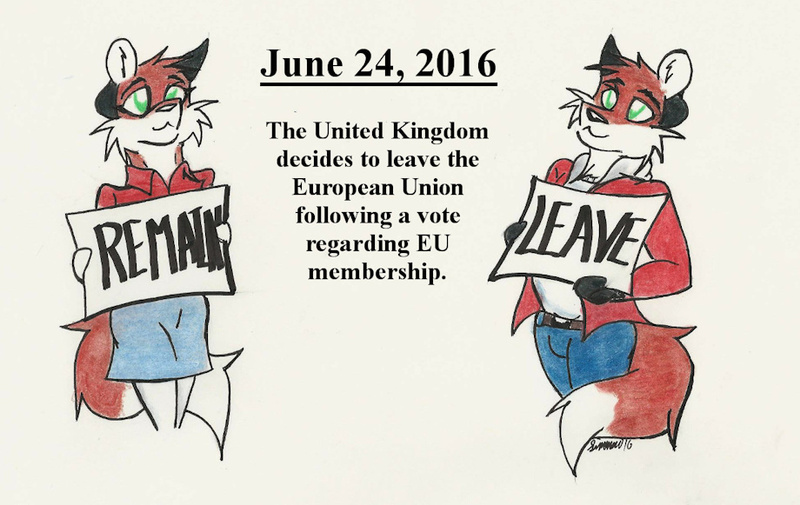 While the Brexit is more of a current event, it is certainly one for the history books. In a surprising result, Leave secured 52% of the vote and thus defeated Remain with 48%. This means that the United Kingdom, one of the largest economies in Europe and the European Union, is set to depart the European Union. The results of the UK referendum have also encouraged movements calling for referendums on EU membership in other countries such as France and Netherlands. Within the UK, calls for independence referendums have begun in Scotland and Northern Ireland, two countries which sided with remain in the referendum. Irish political group Sinn Féin have also called for Irish unification in the wake of the United Kingdom's EU referendum. While the outcome and repercussions of the Brexit decision are still uncertain, it still marks a historic occasion. And it's not likely to be often the a TDiH will be able to show history as it is being made. The pundits have all buried the true meaning of Brexit. Britain's populace decided they were being influenced by arbitrary power they didn't like. so they opposed it. In the long run, I dont really see this changing their relationship with their neighbors except on paper. But yes, It's still important.